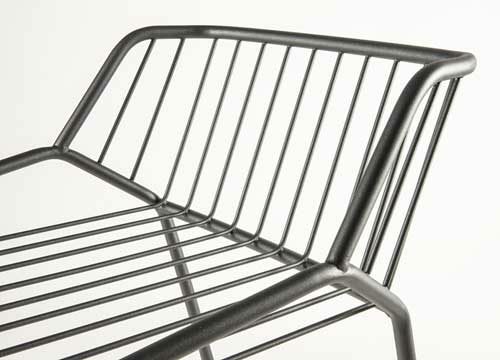 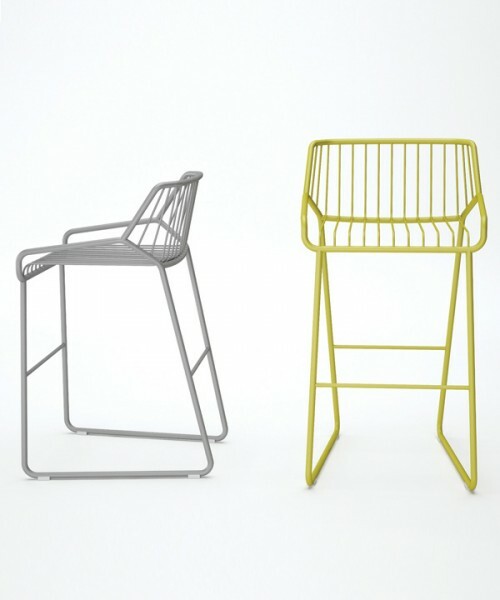 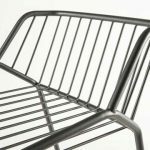 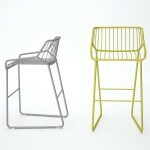 The Cage Product family is characterized by a robust, yet airy and light construction. 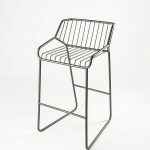 Galvanized and powder coated construction comes in a wide range of colors. 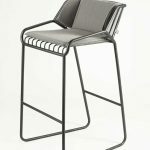 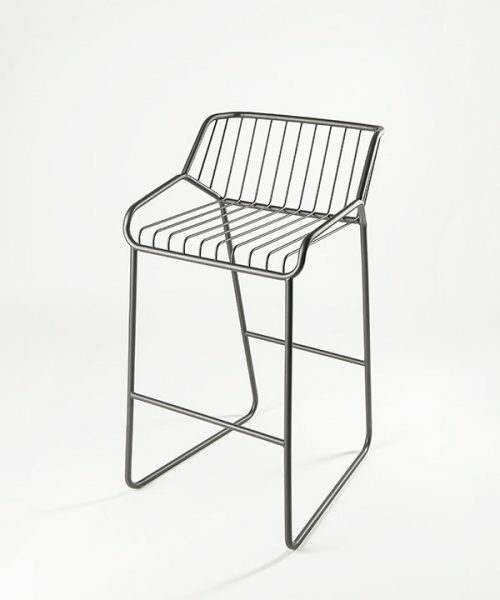 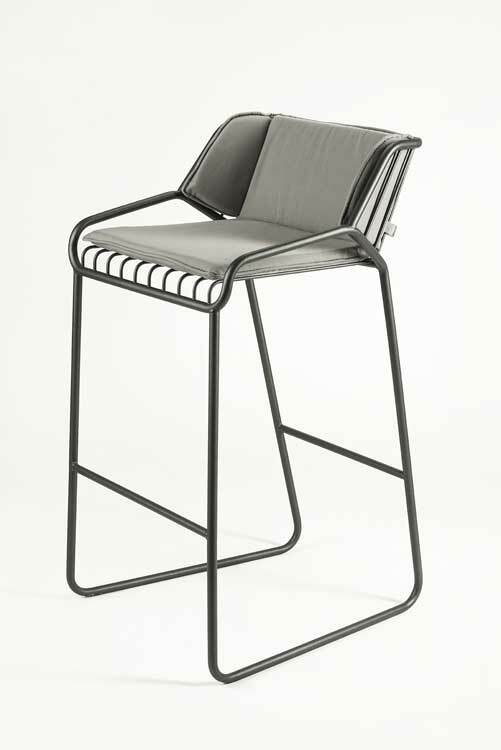 Barstool version (pictured) is very stabile and high back provides sufficient support for longer seating, chair is available in two heights. 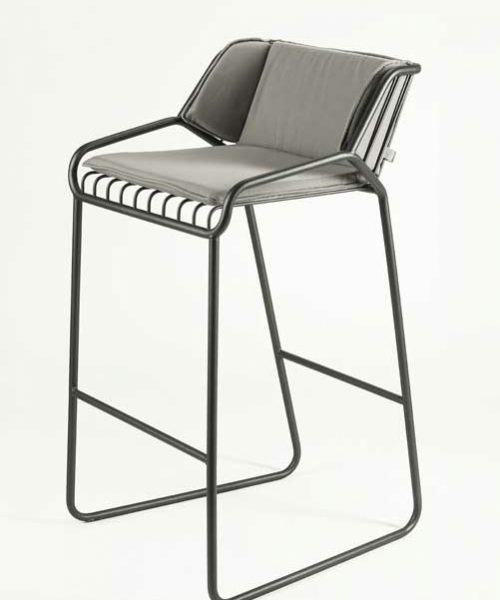 Pillow gives a visual completness to the form of chair and it is available in a variety of fabrics and patterns.